A leaking water heater should be addressed immediately to determine the cause and needed repair. Leaks can originate from several areas for different reasons and should be diagnosed and repaired by professional plumbers. 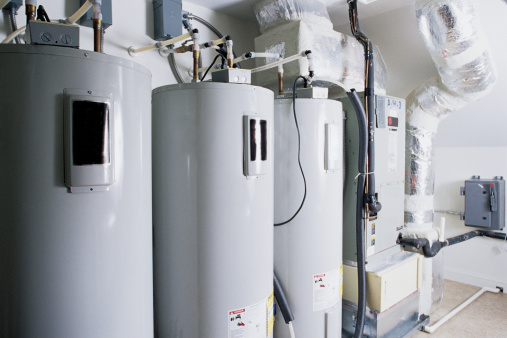 Whether gas or electric in design, a leaking water heater can cause extensive damage to your home and health. Even a slow leak can eventually cause damage to your floors and sub-floors and promote the growth of mold and mildew. Any water heater can produce condensation, but gas water heaters are particularly prone to this, especially upon initial start-up during cold weather. The problem usually disappears when the water in the tank warms up. If you notice water pooling or dripping anywhere on or near the water heater, dry it up and return later; if the area is still dry, you will know the problem was condensation. Condensation can also be present from water dripping down the exhaust vent piping. Any leaking pipe or fitting connected to the water heater will continue to leak until tightened or repaired. Trace the source of the leak by following the water trail. The leak may originate at the top of the water heater where the cold water supply line and hot water exit line connect to the tank, around the anode rod fitting on the top of the tank or at the temperature and pressure relief valve at or near the top of the tank. Farther down the side of the tank on gas water heaters, the thermostat may be the source of the leak; on electric models, the heating elements may be the problem. Near the bottom of the tank, the drain valve could be leaking. 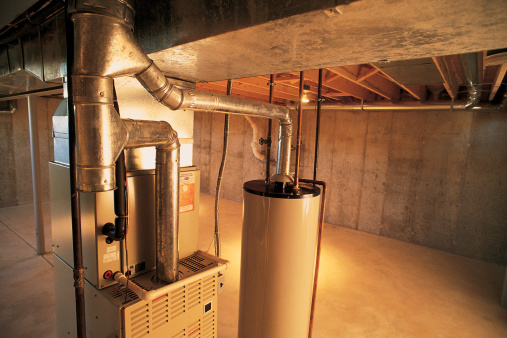 On older or damaged water heaters, the leak may be coming from the tank body itself. This is not repairable and will require the complete replacement of the water heater.